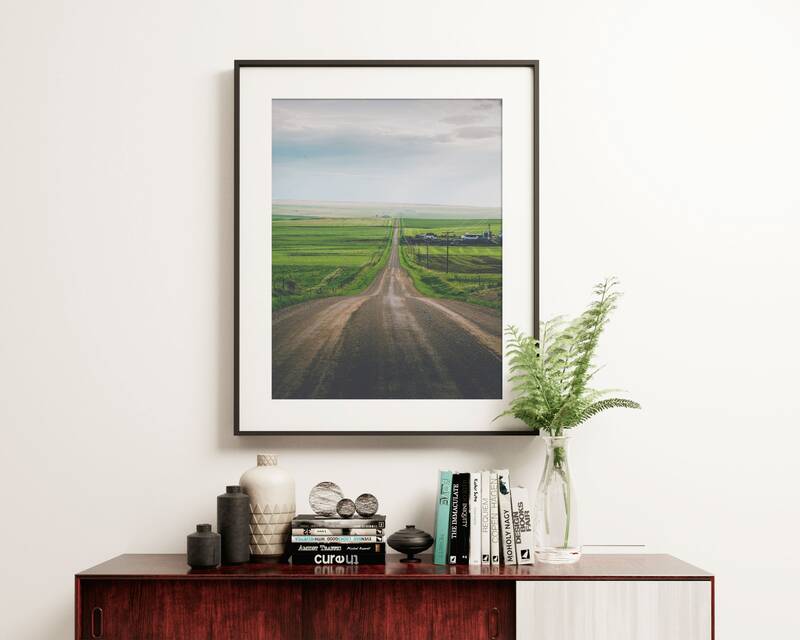 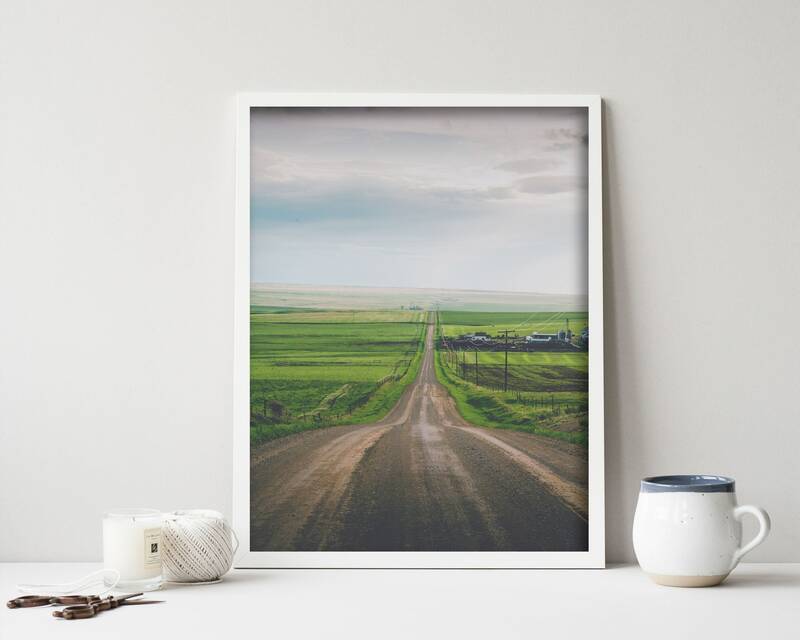 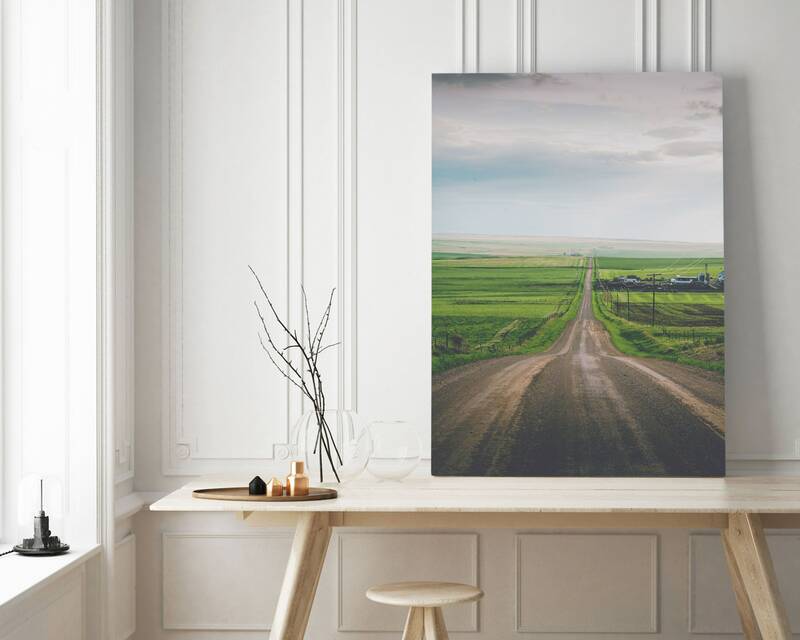 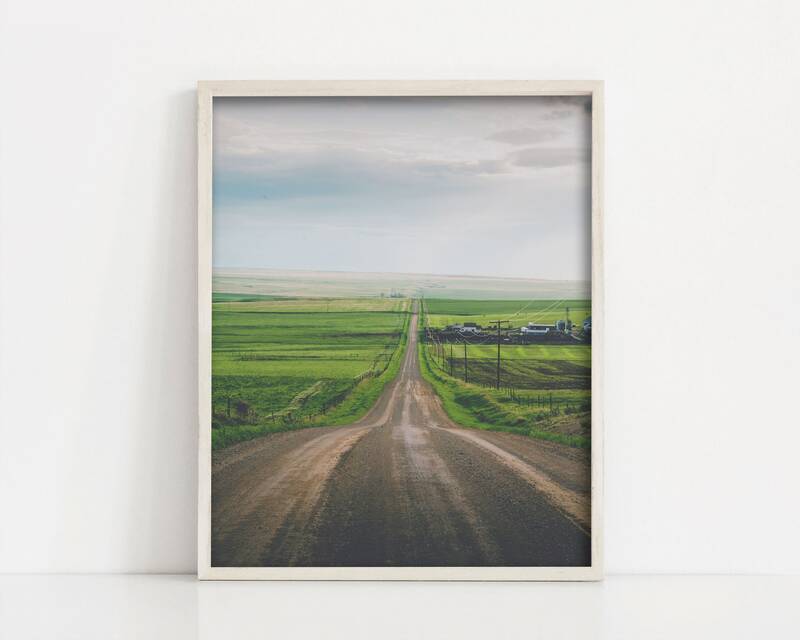 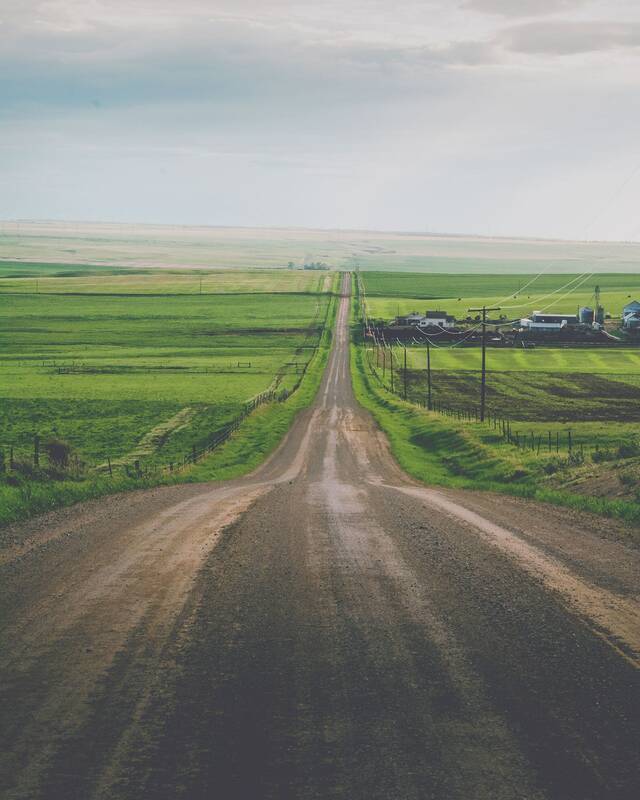 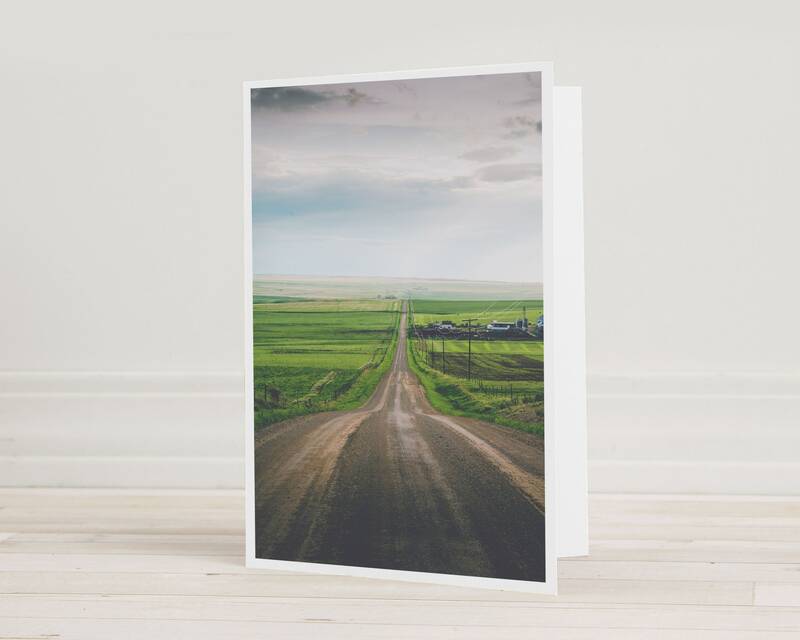 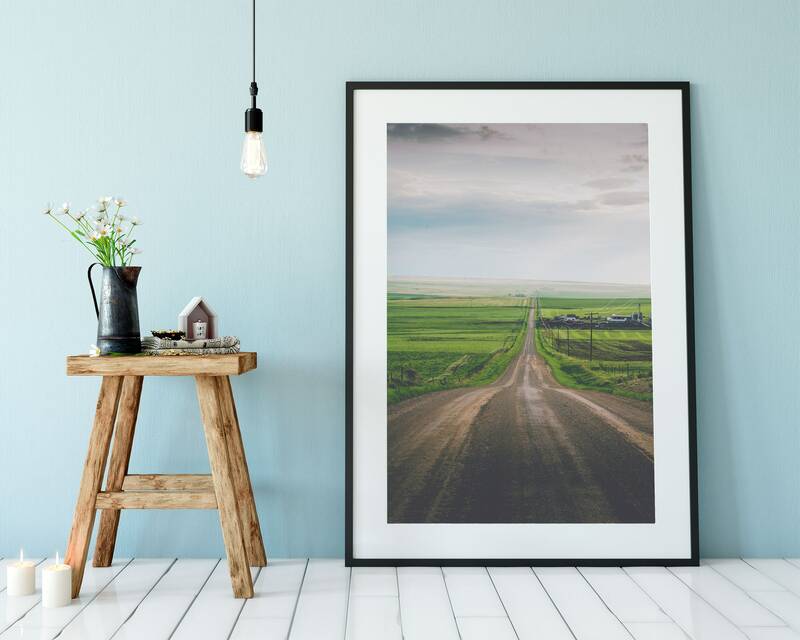 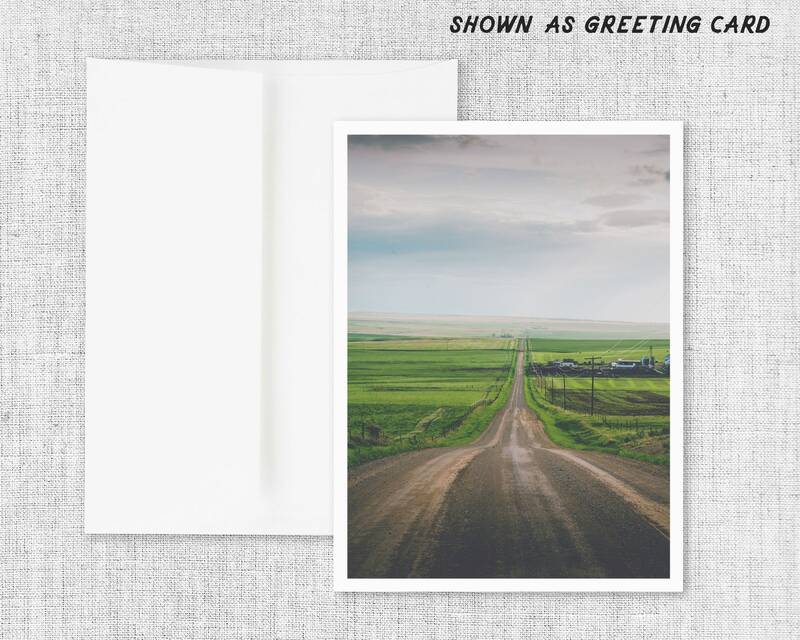 TITLE: "All Roads Lead Home"
The country roads of Montana stretch into the horizon, through beautiful green fields, on a summer evening. 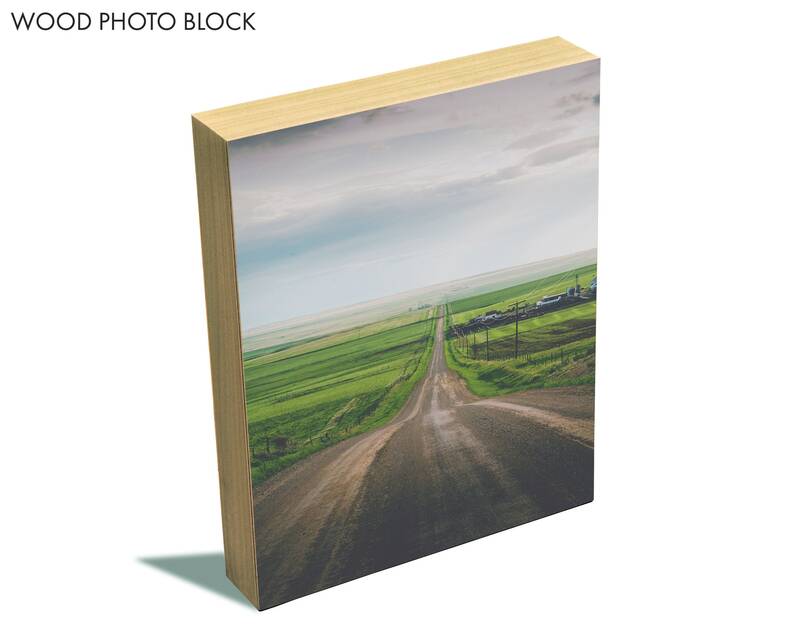 ✭ This photograph is available as a photo on canvas, traditional photographic print, or as a wood photo block. 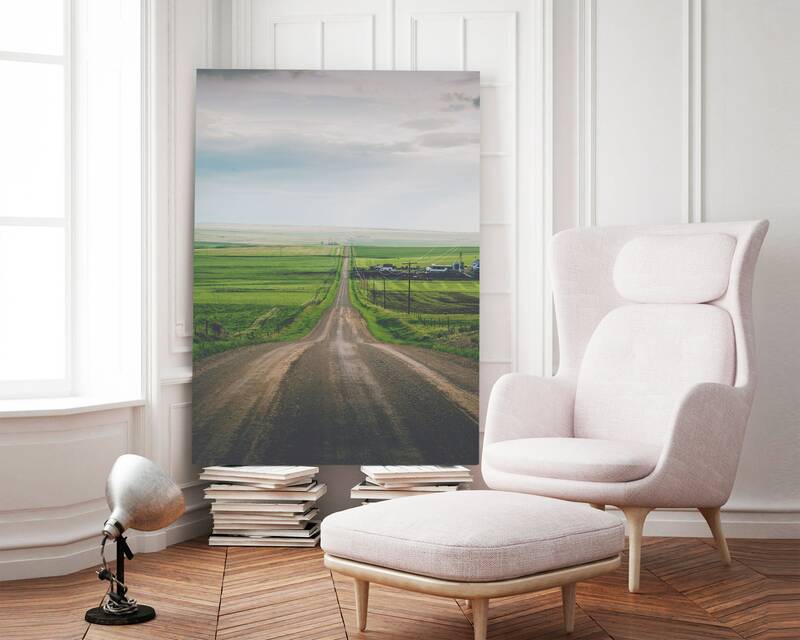 Please choose your desired size and product from the drop-down menu.